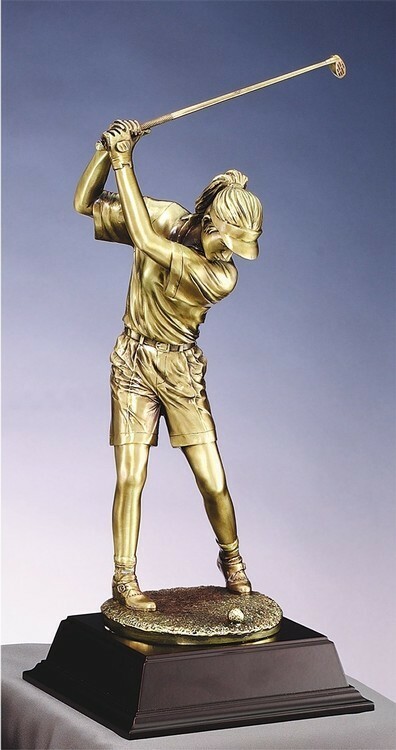 Female Driver - Majestic Resin Golfing Sculpture. Nice high end award. Finished in a gold metallic casting.